A proposal currently being discussed in U.S. Congress may permit teen truck drivers to operate 80,000 pound tractor trailers across state lines. The trucking industry is backing the bill, citing economic concerns over a driver shortage. Safety advocates argue that trucking lobbyists are ignoring studies which reveal greater crash rates among younger drivers. 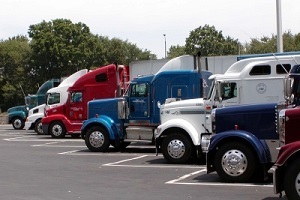 With an excess of 250,000 vacant trucker jobs by 2017, the trucking industry is concerned about keeping up with demand. Permitting 18 year olds to drive large rigs across state borders is one way to address the shortage. Safety advocates, like the Insurance Institute of Highway Safety, cite data showing younger truck drivers have a much higher rate of being involved in fatal accidents. This information does not support legislation that would safely allow 18 year old drivers to drive commercial vehicles across state borders. Most states allow 18 year old drivers to drive big rigs within state borders. However, current federal laws do not allow them to cross into other states. Within these states, teenage drivers are more than four to six times likely to get in fatal collisions. The trucking industry has argued for graduated licensing similar to passenger cars that would permit truckers to receive more experience as they go along. States could restrict the cargo types young drivers would haul and times of day teen truck drivers could drive. Lowering the minimum age for truck drivers is not a new topic. It has been discussed for years and was visited in 2002 by the Bush administration. With scientific data to back up the dangers of teen truck drivers, safety concerns for all drivers seems a legitimate concern. Negligence by drivers can be a serious cause of highway collisions. If you have been injured in a truck accident, contact The Edwards Law Firm today to schedule your free consultation. We will work to get you the compensation you deserve.